My mom makes jam. It tastes really yummy and it is good for you. She makes it out of strawberries and blueberries. We pick the strawberries at a farm and we pick the blueberries at Minnewaska Park. I like eating the jam on toast. 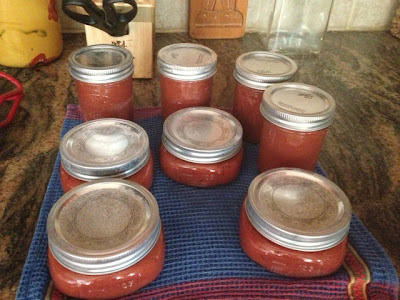 Last night she canned plums which we picked from our backyard. That wasn't jam, though. Mommy says it tastes like ketchup. 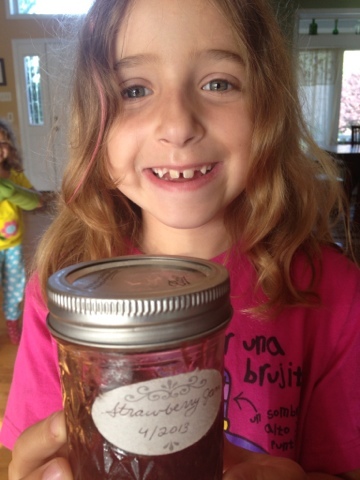 Mommy is good at canning and I like her strawberry and blueberry jam.